twitchquotes: Doublelift's chat is the best chat to spread your copypastas. I love the feeling of that succulent wall of text skyrocketing through chat at the speed of sound. The sheer knowledge that at least one other person will notice your masterpiece, highlight it, and copypasta. This is my safe place. This is where I will plant my pastas to grow up to be big pasta trees. Doublelift's chat is the best chat to spread your copypastas. I love the feeling of that succulent wall of text skyrocketing through chat at the speed of sound. The sheer knowledge that at least one other person will notice your masterpiece, highlight it, and copypasta. This is my safe place. This is where I will plant my pastas to grow up to be big pasta trees. twitchquotes: Hey Doublelift! It's me Greg from high school. How's it going man? Remember that one time you jacked off Mr. Stevens to get an A in gym? Haha classic Yiliang you always did the craziest things. Nice talking to you my man. Hey Doublelift! It's me Greg from high school. How's it going man? Remember that one time you jacked off Mr. Stevens to get an A in gym? Haha classic Yiliang you always did the craziest things. Nice talking to you my man. twitchquotes: Doublelift isn't so great? Are you kidding me? When was the last time you saw a player with such an ability and movement with Vayne? Doublelift puts the game on another level, and we will be blessed if we ever see a player with his skill and passion for the game again. Faker breaks records. Sneaky breaks records. Doublelift breaks the rules. You can keep your statistics. I prefer the magic. And his haircut. Doublelift isn't so great? Are you kidding me? When was the last time you saw a player with such an ability and movement with Vayne? 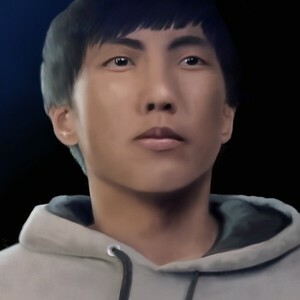 Doublelift puts the game on another level, and we will be blessed if we ever see a player with his skill and passion for the game again. Faker breaks records. Sneaky breaks records. Doublelift breaks the rules. You can keep your statistics. I prefer the magic. And his haircut.